When I saw this week's CAS-ual Friday Challenge, I wasn't quite sure what to do - I've never done one of these before. That's why I like challenges....it allows me to explore outside of my norm, and try something new. And ya know what?? It was REALLY easy. In fact, I think that this was one of the most easiest, and fastest cards I've made - I didn't even ink up one single stamp for this. 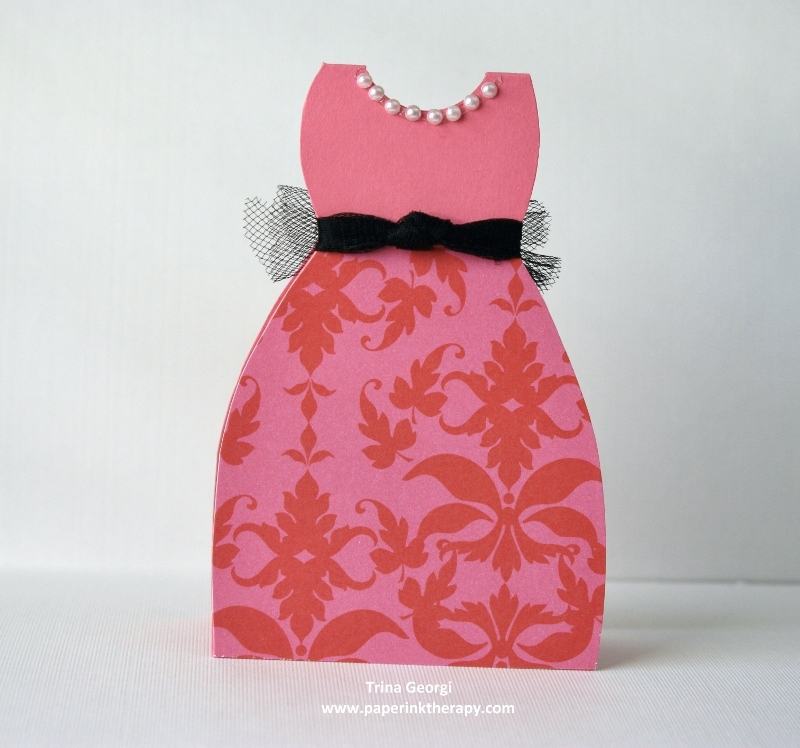 I love how this little "couture" number turned out...I think this would be great for a bridal shower, or as bridesmaids cards. Fabulously stylish!! 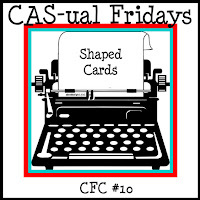 Glad you had fun with us at CAS-ual Fridays! Thanks for your kind comment on my birdhouse card! Appreciated! Love this dress ~ so chic! AWESOME job on the dress card! I'm with you about taking on more challenges as they help us step outside of the comfort zone! The dress looks gorgeous and summery! Thanks so much for playing with us at CAS-ual Fridays! So glad that you join the fun!